AFLW: Who wins B & F? 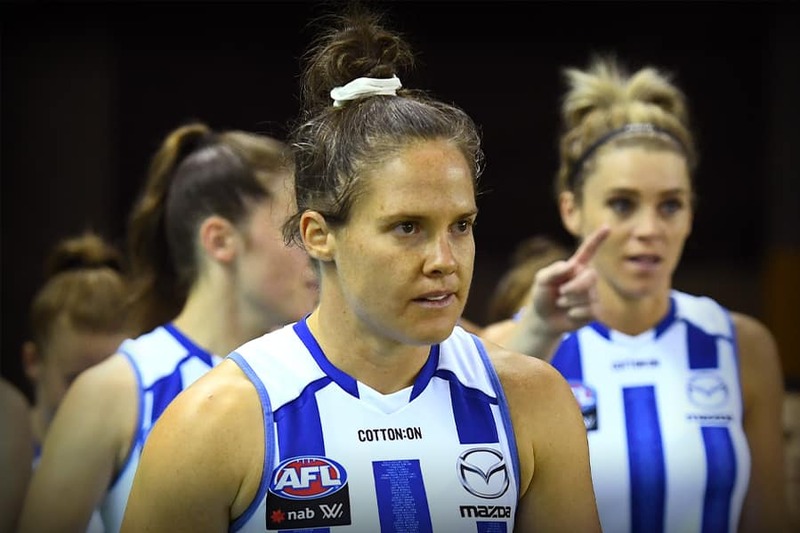 The first ever best and fairest for the North Melbourne Tasmanian Kangaroos will be crowned on Friday, April 5 at the AFLW Club Champion Dinner. 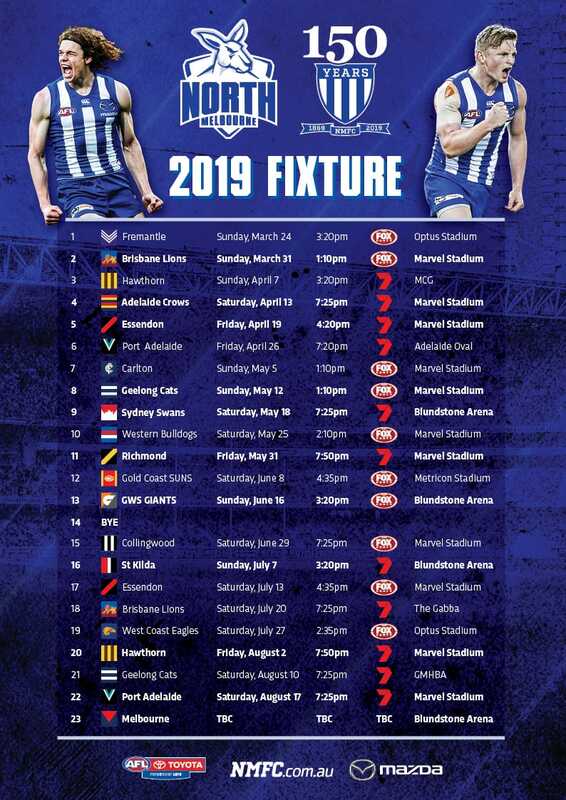 It’s expected to go down to the wire, with a host of stars shining in North’s inaugural season in the expanded AFLW competition. The event will be held at River's Edge in Melbourne’s CBD, with your ticket including premium canapes and grazing stations, a premium beverage package as well as entertainment. North Media looks at those who could be in the mix for the team’s highest honour. The speedster was an ever-present threat in North’s forward six, providing run and the ability to convert forward entries into scoreboard pressure. Ashmore kicked four goals, but also set up opportunities for her teammates. The former Bulldog flies under the radar, but is a lively presence in the midfield. Duffin’s contribution to North’s success was validated by the numbers, dominating in several statistical areas. Offering line-breaking run and polished distribution by foot, Duffin set a new competition record in four areas, including most effective kicks (72). Furthermore, she led the league for most effective short kicks (47), marks (40) and intercept marks (22). Duffin was named in the AFLW Team of the Week on five occasions. The key defender enjoyed an outstanding debut season as a Roo, forming a formidable partnership with fellow back Tahlia Randall. Despite the numbers not reflecting her impact on games, Hardiman’s marshalling of North’s defensive brigade was clear, providing structure and stability for line-breaking run. Hardiman ended the season in good company, listed among North’s best for both intercept possessions (27) and disposal efficiency (72%). One of several forward threats, Garner did a mountain of work to open opposition defence and create scoring opportunities for those around her. A prime target inside 50, she averaged close to four marks a game and kicked five goals across the season. She also averaged 13.1 disposals and 4.6 score involvements. What a quarter from @northaflw! It started with a crunching tackle from Jas Garner and ended with Emma King splitting the middle! A lifelong North supporter, Gibson lived the club values throughout the year, highlighting the Never Beaten mentality. The vocal point of North’s defensive six, the Roos’ vice-captain was one of many feel-good stories in 2019. Despite primarily being utilised in defence, Gibson still ventured forward, splitting the middle in Round 1 at North Hobart Oval, earning a standing ovation at home. She was a strong user of the ball, at 74 per cent efficiency, and averaged 242 metres gained per match. Missed @northaflw's Britt Gibson on #TheFrontBar? Utilised as a rotating ruck and forward threat, Gillespie-Jones enjoyed a breakout season in her first year at Arden Street. She was ultra-consistent, averaging 3.6 marks, 11.7 disposals and almost 6 tackles. Her success working in tandem with fellow tall Emma King caused headaches, allowing her teammate to venture forward while she patrolled the ruck. One of the league’s most accomplished players, Kearney wore the burden of her previous accolades, tagged heavily by opposing midfielders throughout the season proper. The skipper was still able to shine in her own right, setting a new competition record for both clearances (43) and stoppage first possessions (52). The towering ruck authority was the surprise packet of the opening rounds, managing dual ruck and forward roles with impressive ease. King asserted her authority in the stoppages, but also spearheaded North’s attack, booting four majors across the opening two games. She ended the season with eight goals, averaged 3.4 score involvements, and was sixth in the league for hit-outs. A season of consistency saw Randall establish her place as a lock in North’s backline, often flanked by Danielle Hardiman and Jess Trend. Randall flourished as a tall defender in 2019, stifling opposition forward entries with her spoiling and aerial presence. Few players created more space in the middle of the ground than Stanton, who switched to Arden Street after two successful seasons with Brisbane. Stanton’s running-capacity was evident early, often topping several statistical areas week-on-week. She averaged 17 disposals a game. The former Lion also set a league record for uncontested marks, ending the season with 34.